Vietnam’s stock market is set for unpredictable short-term movement, as both local indexes witnessed a choppy trading week last week, on low liquidity and weak cash flow. The benchmark index on the Ho Chi Minh Stock Exchange (HOSE) increased slightly by 0.05 percent to close at 902.30 points on January 18. The southern index totalled a weekly decline of 0.05 percent. The HNX Index on the Hanoi Stock Exchange dropped 0.36 percent to close at 101.56 points on January 18, totalling weekly losses of 0.3 percent. An average of 282 million shares was traded in each session last week, worth 3.5 trillion VND (150 million USD). Last week’s average trading figures were up 70 percent in volume and 6 percent in value compared to the previous week. Tran Duc Anh, Director of Macroeconomics and Market Strategy, KB Securities Vietnam (KBSV), said in recent years, the market has witnessed similar conditions ahead of the Lunar New Year, with market indexes fluctuating and liquidity plummeting. This can be considered a seasonal development as investors need time to evaluate the previous year’s business and make plans for the new trading year, Anh told tinnhanhchungkhoan.vn. The market being influenced by the external factors in recent times has also made many investors nervous and kept them outside the market observing the indices carefully. This has kept liquidity low as few transactions were made. Cash in the market has focused on a few stock groups with stable, consistent and less risky performances. 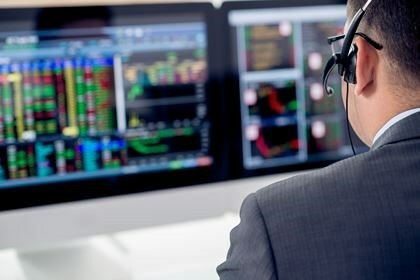 "The market experienced a quite boring trading week with the total trading value on the three exchanges only at about 3 trillion VND per day, half as much as the average level,” said Nguyen Hong Khanh, head of Analysis Department, Vietnam International Securities Company (VIS). “As the Tet (Vietnamese Lunar New Year) holiday approaches, many individual investors have withdrawn their cash, limiting transactions and temporarily standing outside the market and waiting until the holiday season ends,” Khanh said. However, in terms of figures, it is clear that the market recorded a significant recovery with VN-Index staying above 900 points. In the two weeks before Tet, many enterprises will announce fourth quarter business results, including the banking and textile industries. This will give investors optimism. The slight net selling of foreign investors on the HOSE in the last session of the week was not a worrying signal and it didn’t mean the net buying trend since the beginning of the year has ended, said Anh. The net buying trend of foreign investors from the beginning of this year seems to be similar to the net buying trend in neighbouring emerging markets, Anh said. During the period, foreign investors net bought more than 40 million USD in the Vietnamese stock market. The corresponding figures for Indonesia, Philippines, Malaysia and Taiwan were 455 million USD, 132 million USD, 11.5 million USD and 299 million USD, respectively. According to Anh, there are many reasons for this. The US dollar has weakened in recent weeks, global risk factors are cooling and the emerging economies in the region have maintained growth momentum. Statistics from the past show that whenever the dollar weakens, global capital inflows often shift to emerging markets, supporting these markets and helping them perform better than the markets of developed nations. The Cuu Long (Mekong) Delta province of Vinh Long is planning to tweak its socio-economic master plan. Truong Dang Vinh Phuc, Director of the provincial Department of Planning and Investment, told a conference last week that the changes would focus on industry, industrial complex infrastructure, rural agriculture, culture-tourism, transport infrastructure, urban housing development, and trade services. The province’s main sectors are agriculture, food processing, energy, manufacture and repair of agricultural machinery and vehicles, wood processing, garment and textiles, and footwear. Le Quang Trung, Vice Chairman of the provincial People’s Committee, said this year Vinh Long plans to improve its growth models by enhancing labour productivity and competitiveness. It plans to enhance cooperation with other localities in the delta to develop its services and tourism sectors, he said. The province would continue to restructure agriculture by building new rural areas and focus on building value chains for and promoting its major agricultural products. Last year, the province’s agricultural output had been worth 10.59 trillion VND, according to the provincial People’s Committee. Quang Ninh province’s Department of Customs topped 34 provincial departments and district authorities in the northeastern province in competitiveness, according to the ranking announced on January 18. According to the province’s Department and District Competitiveness Index (DDCI), the provincial Department of Customs earned a score of 77.81 points. It was followed by the Department of Natural Resources and Environment with a score of 77.72 points and the Department of Taxation with 77.62 points. The city of Cam Pha ranked first among 14 cities and districts, earning a score of 75.61 points, followed by Hoanh Bo district with 68.85 points and Quang Yen town with 68.23 points. 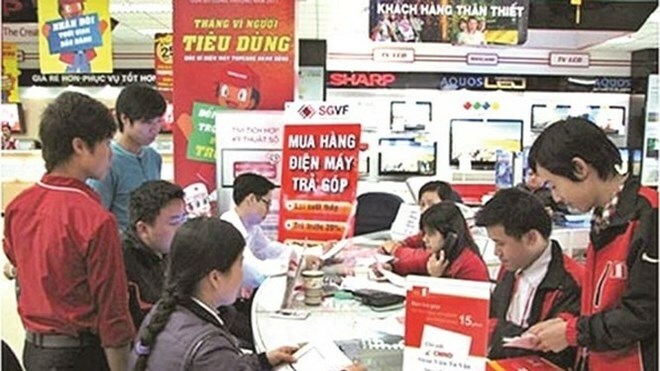 Quang Ninh’s DCCI, which was based on an evaluation of 6,500 firms, co-operatives and business households operating in the province, showed that the province’s State management agencies and district-level authorities were actively conducting dialogues with businesses to listen to their difficulties and create favourable conditions for firms. According to Vu Kim Chi, deputy head of the provincial Department for Investment Promotion and Support, Quang Ninh launched its DDCI in 2015 as an effort to aid provincial departments and district authorities in improving the business climate. The index measures eight criteria, including transparency, proactivity of leadership, time costs of regulatory compliance, informal charges, policy bias, legal institutions, business support and accountability of leaders. Quang Ninh was the most competitive province in the country, topping the Vietnam Chamber of Commerce and Industry’s provincial competitiveness index (PCI) for 2017, which assessed the ease of doing business in 63 provinces and cities. The Tien Phong Joint Stock Commercial Bank (TPBank) has just launched a ‘super speed’ auto loan programme, with a commitment to approve loan appraisals within eight hours. Customers can borrow up to 80 percent of the value of a car over 84 months. 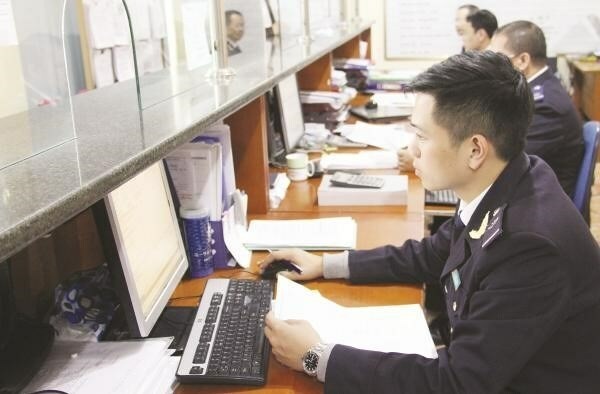 The Vietnam Technological and Commercial Joint Stock Bank (Techcombank) is applying an unsecured loan programme, requiring no collateral or deposits. Under the programme, borrowers can get loans at a maximum amount of 10 times of their monthly income, but not exceeding 300 million VND (12,880 USD). Vietjet Air inaugurates HCM City-Van Don route on January 20. The Vietjet Air on January 20 inaugurated its route linking Ho Chi Minh City in the south and Van Don island district in the northeastern province of Quang Ninh, the low-cost carrier announced the same day. Return flights are conducted every Monday, Wednesday, Friday and Sunday. Aircraft departs from Ho Chi Minh City at 7:00 and arrives at Van Don at 9:15 am, while the return departs at 9:50 and arrives at 12:05. The route is expected to meet the increasing demand for tourism and trade, helping boost the local economic development and integration. Van Don island, located near the Bai Tu Long bay and the world-famous Ha Long bay, is blessed with many scenic beauties and has over the recent past become a magnet to both local and foreign tourists. Vietjet Air is now having 39 domestic and 66 international routes. It is opening more routes and expanding its fleet in the “consumer airline” model. Travellers have many choices in booking its tickets and paying the fares. BP Solar 1 solar power plant becomes the first Vietnamese constructed project to get connected to the national grid so far. 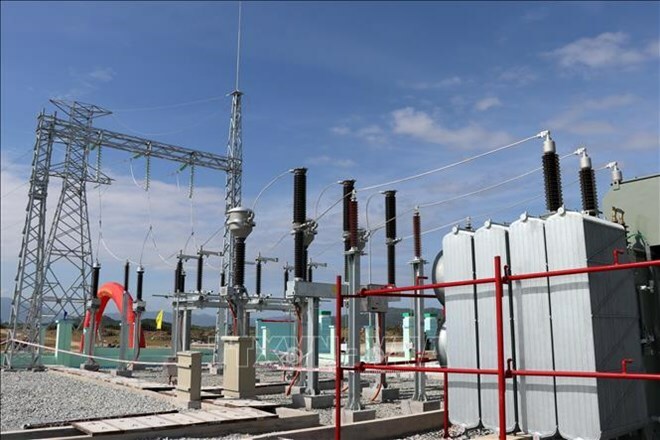 Work on the 62-hectare plant started in June 2018 at a total cost of more than 1.31 trillion VND (56.32 million USD). The project, including transmission lines and transformation stations, was designed to generate some 74.45 million KWh per year. Last year marked the first time Japan became the most popular destination for Vietnamese migrant workers with over 68,700 people finding jobs there, beating Taiwan with nearly 60,400 people and the Republic of Korea (RoK) with over 6,500, according to statistics released by the Department of Overseas Labor. A Vietnamese migrant worker can make $1,000 to $1,200 a month in Japan and RoK, four times the average monthly salary in Vietnam, which was VND6.5 million ($290) last year. The digital age offers opportunities for the world economy, creating new business models, which helps boost global gross domestic product (GDP). Dang Hoang Hai, Director of the Vietnam eCommerce and Digital Economy Agency under the Ministry of Industry and Trade, made the statement during a workshop in Hanoi on January 18. He said the digital economy could also help countries increase productivity, efficiency and transparency in international trade. The Ministry of Industry and Trade organised the Asia Europe Meeting (ASEM) workshop on promoting the digital economy in the context of the fourth industrial revolution. The workshop’s aim was to share experiences and improve understanding of the digital economy and its current role. It also looked at the impacts, challenges and opportunities management agencies face in order to keep pace in the fast-growing sector. Hai also said the revolution 4.0 would bring potential and promote creativity. Therefore, the digital economy would be widely applied in other economic sectors. In addition, it would help businesses reach out to the global market, he said. The digital economy was creating opportunities, as well as challenges, and ASEM leaders recognised the importance of working together. Jane Treadwell from the World Bank (WB) said they were very interested in the digital economy with two purposes of reducing poverty globally and ensuring common prosperity for all countries. The global digital economy was worth 1.5 trillion USD in 2016, equivalent to 15.5 percent of the world’s GDP and is expected to rise to 25 percent worldwide in the next decade. In the labour market, workers need to adapt traditional skills, knowledge and business practices to digital environments. This will bring more opportunities for businesses and workers. Dao Ngoc Chien, Deputy Director of the Department of High Technology under the Ministry of Science and Technology, said the digital economy was interwoven with the traditional economy. Economic markets were based on digital technologies to create transactions and exchanges of goods and services through e-commerce, he said. Chien also revealed the opportunities available to businesses. 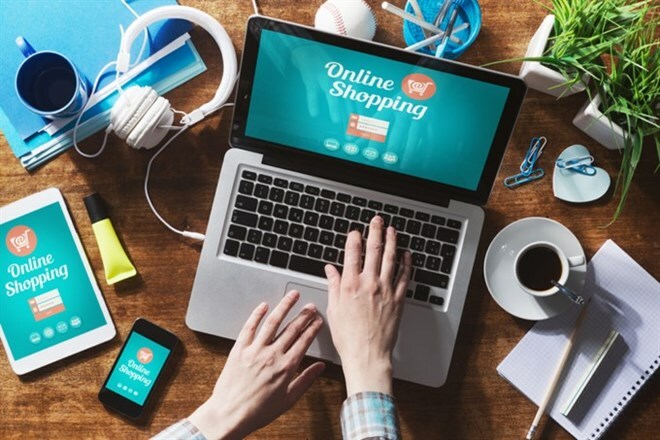 Enterprises could easily develop trade links with consumers through e-commerce platforms and could also develop digital payment, insurance and banking services, he said. Speaking at a media briefing in Ho Chi Minh City on January 18, Terence Chiu, country head of commercial banking at HSBC Hong Kong, said that more Hong Kong investors were eyeing Vietnam as a good destination to seize huge opportunities for investment. Some companies had started shifting production out of China to avoid tariffs imposed by the US, he said. “Vietnam is very likely to benefit from the adjusted supply chains,” he added. “We have seen strong business flow from Hong Kong to Vietnam,” he said. Over the past five years, trade between Vietnam and Hong Kong has seen double-digit growth. Compared to other ASEAN member countries, Vietnam had many advantages, which have helped the country gain attention from Hong Kong businesses, he said. Vietnam offers affordable human resources and abundant raw material sources, which are more competitive in price than other ASEAN countries. Hong Kong investors also see high potential from Vietnam’s increasing purchasing power thanks to its growing middle class with increasing income. “With its rapid infrastructure, economic and technological development, Vietnam has attracted attention from Hong Kong investors,” he said. Vietnamese enterprises should try to attract more financial sources from Hong Kong to develop infrastructure and industry, while using trade transaction floors in Hong Kong to promote its goods to global buyers, he noted. According to the Hong Kong Trade Development Council (HKTDC), in the first nine months of 2018, bilateral trade reached 18 billion USD. 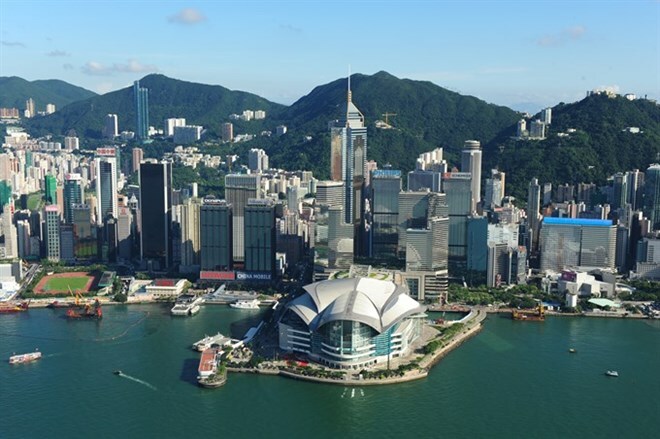 Hong Kong was one of the first foreign investors in HCM City, the economic hub of the country. As of June 2018, Hong Kong was the sixth largest foreign investor in Vietnam with total investment of nearly 19 billion USD, with Vietnam among the 25 most attractive destinations for Hong Kong businesses. Vietnam enjoyed a trade surplus of around 3 billion USD with Hong Kong in the first half of last year, a year-on-year increase of 14.6 percent. During the first seven months of last year, Vietnam was the sixth biggest export market in the world for Hong Kong, with total value of 6 billion USD. 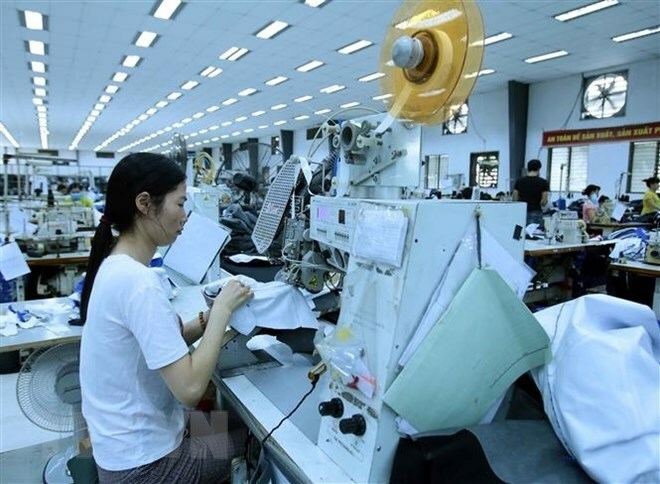 As of August 2018, Hong Kong companies had more than 1,300 projects operating in Vietnam with total registered capital of 9 billion USD, focusing on key areas like textiles and garments, real estate and investments. Vietnam continues to shine as the region’s brightest star with the strongest GDP growth. 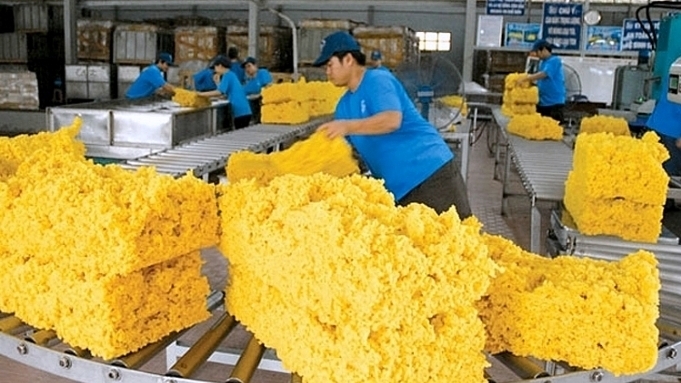 Around 63 percent of all FDI in Vietnam is invested in the manufacturing sector. According to the Ministry of Finance, the textile and garment sector is one of the country’s major export products, representing 12.4 percent of total export volume as of November last year. Bilateral cooperation between Vietnam and Hong Kong has grown steadily over years, with the two signing an FTA in November 2017. Hong Kong also signed an FTA with ASEAN that has opened the door to more cooperation opportunities for Hong Kong and Vietnam, one of the fastest growing economies in ASEAN. Vietnam has a stable political system, a sizeable domestic market, young working population, and resilient domestic demand that can create a sound and supportive ecosystem for foreign investors. The country ended 2018 as one of the fastest-growing Asian economies. Last year the country’s GDP accelerated to 7.08 percent year-on-year, the fastest pace since 2011. In 2019, Vietnam will likely remain one of Asia’s fastest growing economies. The strong economic growth of the country has opened up more business opportunities. The Comprehensive and Progressive Agreement for Trans-Pacific Partnership (CPTPP) took effect in Vietnam on January 14. The CPTPP is expected to provide improved access to 500 million consumers among member countries, which account for 13 percent of global GDP. The trade agreement will spur reform in Vietnam in such areas as competition, customs, e-commerce, environment, intellectual property, investment, labour standards, legal issues, and rules of origin. By 2030, exports from CPTPP countries are expected to increase by more than 6 percent, and 8 percent in Vietnam. The trade agreement will also lead to a shift in global supply chains as trade is rerouted to CPTPP countries. Vietnam has implemented numerous reforms to improve its business environment for foreign investors. According to the World Bank’s Doing Business 2018 report, Vietnam ranked 68th among 190 economies, a jump of 14 against 2017 and 30 against 2012. The country has signed many FTAs that open up investment and trade opportunities and is committed to creating a fair and attractive business environment for foreign investors. According to a report from the Government, foreign investment in Vietnam last year increased by 9.1 percent to $19.1 billion. This was the sixth consecutive record year for foreign investment in the country. “Strong FDI flow should improve productivity and industrial capacity, enabling the country to take advantage of trade diversion,” said Terence Chiu, country head of commercial banking at HSBC Hong Kong. Le Hoang Diep Thao, wife of Trung Nguyen coffee brand founder Dang Le Nguyen Vu, said in a statement January 17 that she has proposed that the assets of the Trung Nguyen Group be divided into two parts, with Vu choosing to take one and she taking the other. The first part would be the Trung Nguyen coffee brand, the Trung Nguyen Legend Stores and its factories. The second would comprise the G7 instant coffee brand and its factories. Thao said she would allow Vu to make the decision first, with a month’s time to change his mind. "Both brands are the children that my husband and I have borne and raised in the last 20 years. Even now, I still hope that he and I will continue to keep and develop the two brands together," Thao said. Thao added that a hearing is scheduled for January 30 in the divorce case between her and Vu. A representative of Vu told VnExpress that both Vu and the court have not accepted any of Thao’s proposals, but declined to comment further. Thao’s proposal comes after her accusation last month that her husband’s company forged signatures to remove her from the Trung Nguyen Instant Coffee Corporations (Trung Nguyen IC) and replace her with Vu. In May 2006, Thao was appointed Trung Nguyen's deputy general director, allowing her to manage the company under Vu's authorization. She claims that under her management, Trung Nguyen's charter capital increased from VND150 billion ($6.5 million) to VND2.5 trillion ($108.7 million) and both the company's annual revenue and profit grew significantly. However, in July 2014, Vu signed a decision to dismiss Thao as deputy general director without the board of directors' approval. He also instructed his employees to demolish her office and block her from entering the company's headquarters, Thao has alleged. Furthermore, he prevented Thao from performing her rights and responsibilities as Trung Nguyen's shareholder and a board member, prompting her to file the lawsuit. The court of Ho Chi Minh City on September 20, 2018 reinstated Thao as the deputy general director, co-owner and co-founder of Trung Nguyen Group, but on the very next day, Vu dismissed her for the second time, accusing Thao of threatening Vu's partners during the couple's struggles over property and rights to manage and run the company. Trung Nguyen Group is a top coffee firm in Vietnam. It earned revenues of VND3.95 trillion ($170.5 million) and profit before tax of VND681 billion ($29.4 million) in 2017. Property developer Phú Mỹ Hưng Development Corporation launched phase two of the Peak in HCM City on Thursday. The Peak is the last development in the complex known as Phú Mỹ Hưng Midtown that the company has developed over the past two years in the South District of Phú Mỹ Hưng City Centre in District 7 of HCM City. It said 698 units would be sold now in the Peak, including two-bedroom condos ranging in size from 72sq.m to 94sq.m, three-bedroom ones measuring 100-120sq.m and tophouses of 161-292sq.m. It would be sold in the third quarter of this year, the company said. It is in an ideal location in Phú Mỹ Hưng Midtown amid Sakura Park, rivers and other beautiful sights. Its first phase was sold late last year with over 90 per cent of the units being snapped up within a day. Phú Mỹ Hưng Midtown, which Phú Mỹ Hưng Development Corporation has developed in co-operation with three Japanese companies, contains four projects: the Grande, the Symphony, the Signature and the Peak. In around two years, more than 1,600 units have been sold. 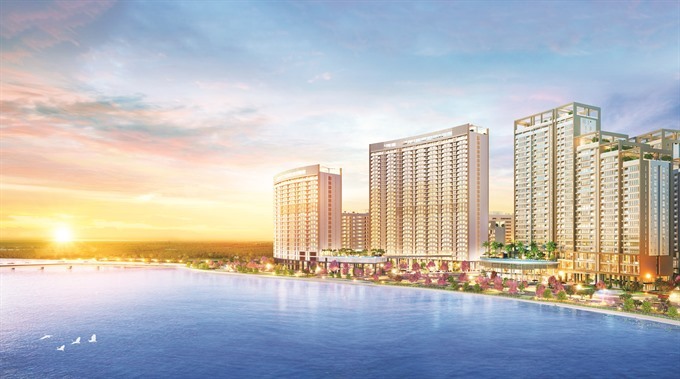 Phú Mỹ Hưng Development Corporation said it offered over 1,300 units for sale last year in the Phú Mỹ Hưng Midtown, Urban Hill and Hưng Phúc Premier. All of them were in the high-end segment, and 90-100 per cent of them were sold right on the first day, it said. In 2018, the company handed over 1,300 condos and 81 shophouses in the Hưng Phúc-Happy Residence, Nam Phúc-Le Jardin, Scenic Valley 2 and Riverpark Premier. It also assisted 1,500 customers with completing administrative procedures related to these purchases. Vietnamobile Telecommunications Joint Stock Company, a mobile network operator, has expanded its 4G coverage to all 20 southern provinces, company officials announced at a press conference on Thursday in HCM City. The company is the first of its kind to apply a network aggregation technique to expand its large scale 4G network, by combining two frequency bands, a 900Mhz low band and 2100Mhz high band. Vietnamobile is also launching a new SIM line called Sieu Thanh Up. By spending at least VND50,000 or more per month, users can enjoy free daily 4G data, free daily on-net calling and texting, and VND680 per minute of off-net calling, in addition to other rewards. 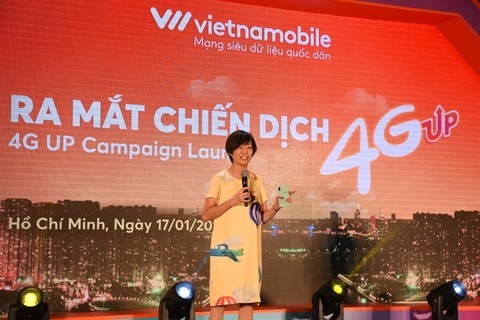 Vietnamobile has improved its network to provide better indoor mobile coverage and more consistent data connectivity, Hoang Minh Hai, Vietnamobile chief of technology, said. Quang Ninh Province’s Department of Customs topped 34 provincial departments and district authorities in the northern province in competitiveness, according to the ranking announced on Friday. Quang Ninh was the most competitive province in the country, topping the Viet Nam Chamber of Commerce and Industry’s provincial competitiveness index (PCI) for 2017, which assessed the ease of doing business in 63 provinces and cities. In 2018, the Vietnam Rubber Group (VRG) basically completed its targets, in which the total volume of exploited rubber reached 307,108 tonnes of latex, equalling 101.92% of the yearly plan (exceeding 5,788 tons), and total revenue was estimated at VND 22,686 billion, reaching 103% of the plan. 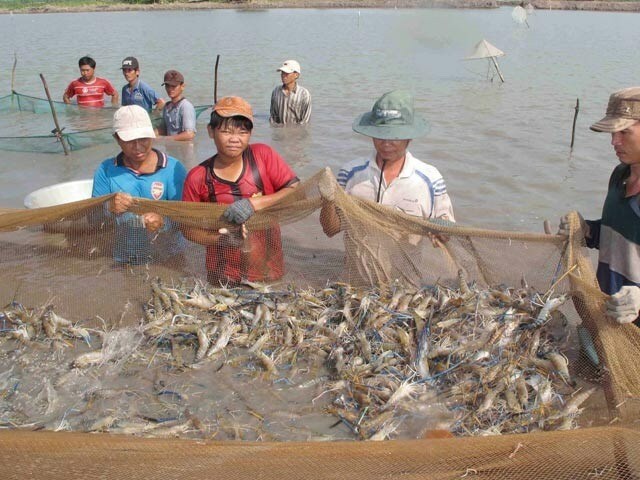 Farmers harvest shrimp in An Giang province. Provinces and cities in the Mekong Delta have set ambitious targets this year with a focus on high-quality agriculture combined with eco-tourism, services and industry. Last year, though the Delta faced unseasonable weather, flooding and a decline in agricultural product prices, the localities achieved positive socio-economic targets. Located in a key economic region, with advantages in tourism, aquaculture and rice production, Kien Giang province, for instance, achieved an economic growth rate of 7.5 percent last year. The province’s total Gross Regional Domestic Product (GRDP) reached more than 62.3 trillion VND (2.68 billion USD), and budget revenue collection 9.95 trillion VND (428.5 million USD), 7.7 percent higher than estimated. Pham Vu Hong, Chairman of the Kien Giang People’s Committee, said in 2018 the province created 213 large-scale fields to help farmers apply technology to rice production. The province produced more than 4.2 million tonnes of rice in 2018. At least 76 percent of high quality rice was exported, he said. The province’s aquaculture yielded about 815,400 tonnes, exceeding 4 percent of the plan. It welcomed over 7.6 million visitors, of which international visitors were 580,000, exceeding 34.8 percent of the year’s plan, he added. Nguyen Van Duong, Chairman of the provincial Dong Thap People’s Committee, said that export turnover of the province reached a record 1.2 billion USD last year, a surge of over 40 percent compared to the previous year. The province sent more than 2,000 people to work overseas in Japan and the Republic of Korea, higher than the target of 1,000). The province also focused on smart agricultural production, applying advanced technologies to ensure sustainable agriculture. In addition, in 2018 Vinh Long province achieved 10.59 trillion VND (456.3 million USD) worth of agricultural production, according to the provincial People’s Committee. The province’s investment environment improved with 22 new projects with total registered capital of 5.89 trillion VND (253.8 million USD), up by 10 projects over the same period. The number of tourists to Vinh Long also increased by more than 8 percent over the previous year. Tien Giang province also achieved good results in industry, export, tourism, rice production, and fisheries, among others. Income per capita in Tien Giang increased to 47.6 million VND last year, exceeding the set target, which was higher than the average of the entire Mekong Delta region. Le Quang Trung, Vice Chairman of the provincial Vinh Long People’s Committee, said this year Vinh Long planned to improve its growth models by increasing labour productivity and competitiveness. The province plans to enhance cooperation activities among other localities in the region to develop its trade, service and tourism sectors. Vinh Long will continue to restructure agriculture with the building of new rural areas, and focus on building value chains for production and promoting major agricultural products. The provincial Kien Giang People’s Committee plans to improve the quality of human resources and administrative reforms, promote investment in major transport infrastructure, and develop Phu Quoc island district as a special economic zone and driving force of the province. Kien Giang will also continue to restructure the agricultural sector with a focus on building new rural areas, and issue more incentives to attract investment in clean and organic agriculture. The province will enhance investment promotion and recover delayed projects or those that have been implemented slowly. Kien Giang aims to achieve a growth rate of more than 7.8 percent, the top figure in the Mekong Delta region. In addition, Soc Trang will also improve its business environment and promote agricultural development with linkages to value chains, with priorities given to clean rice and aquatic products, use of high technologies, and promotion of tourism and renewable energy. Soc Trang targets a growth rate of between 7.3 percent and 7.5 percent this year, with income per capita of more than 42 million VND. It will continue to reduce the rate of poor households in the Khmer community people to 3-4 percent per year. Vo Thanh Thong, Chairman of the Can Tho City People’s Committee, said Can Tho is playing a major role in the Mekong Delta in many fields such as education and training, healthcare, science and technology, industry, trade, services and tourism. Can Tho will continue to reform its growth model, restructure the economy towards sustainable development, and promote administrative reform, as well as create more favourable conditions for local and foreign enterprises to operate effectively. Can Tho will also promote a knowledge-based economy. The Mekong Delta accounts for 12 percent of the national area and 19 percent of its population. It contributes 50 percent of the rice crop, 65 percent of aquaculture, 70 percent of fruit, 95 percent of exported rice and 60 percent of exported fish. 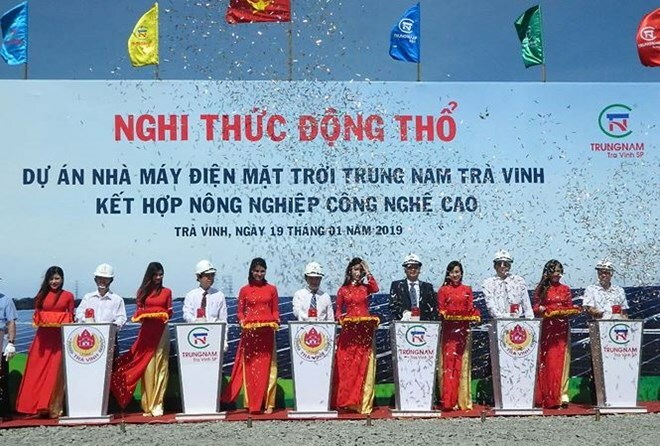 Construction of a solar power plant worth over 3.55 trillion VND (152.7 million USD) began in Duyen Hai township in the Mekong Delta province of Tra Vinh on January 19. Dung also pledged to create all favourable conditions for the investor to ensure the project is implemented on schedule.